How to cancel Pro subscription? 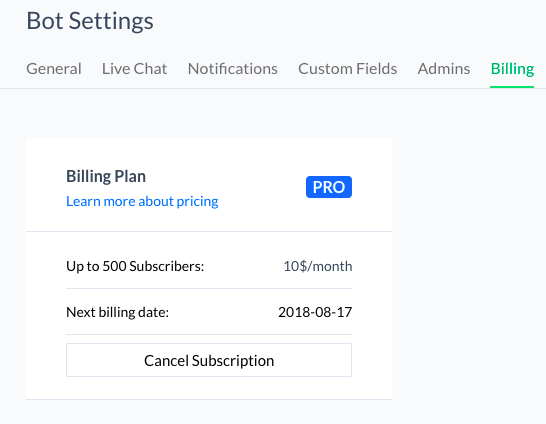 To cancel your Pro subscription go to Settings -> Billing and press "Cancel Subscription". This will make sure that you continue on the Pro plan until the end of your paid period but won't get charged for the next one.